Remember the movie The League of Extraordinary Gentlemen? If you’re a fan of the comics it was based on, my apologies for bringing it up. 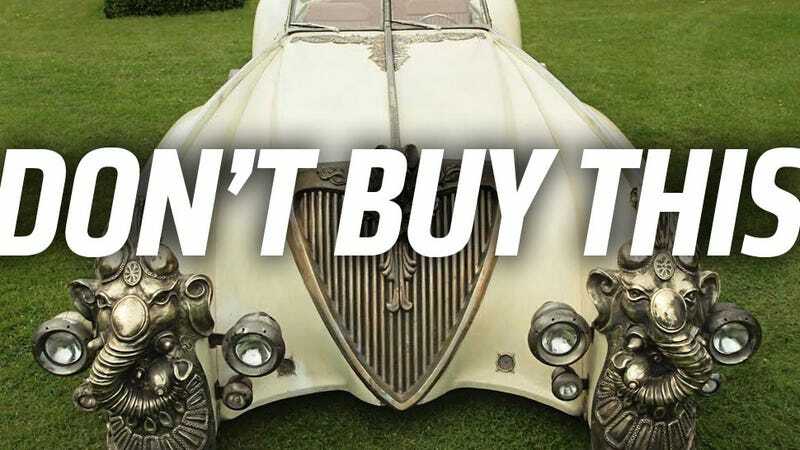 But I have to, because Nemo’s ‘Nautilus Car’ from the movie is going up for auction, and I’d like to dissuade anyone with £25,000 burning a hole in their jodhpurs from buying it. Because it’s deeply, willfully stupid. I actually wrote in detail about why this car is so awful, and I’m re-running that story here, because if this thing is going up for sale, I believe people have a right to really know what this car is. And, while it certainly is striking-looking, it’s a terrible fit for the story, the concept, the character of Nemo, and any sort of logic whatsoever. I know a lot of people disagree with me, but I implore you to just read my arguments here. And, if you still disagree, you can head over to Blenheim Palace on July 11 and buy the damn thing, just to spite me.